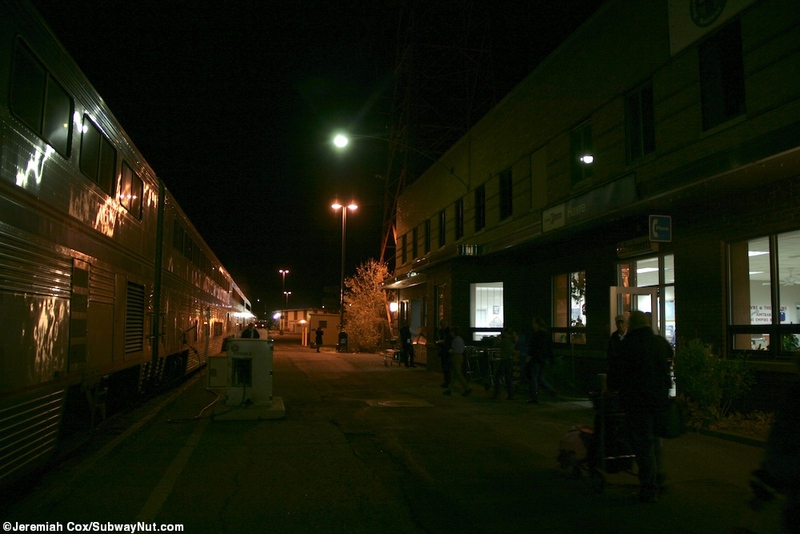 Havre is a small town of 9,000 people in the High Plains of Northern Montana. 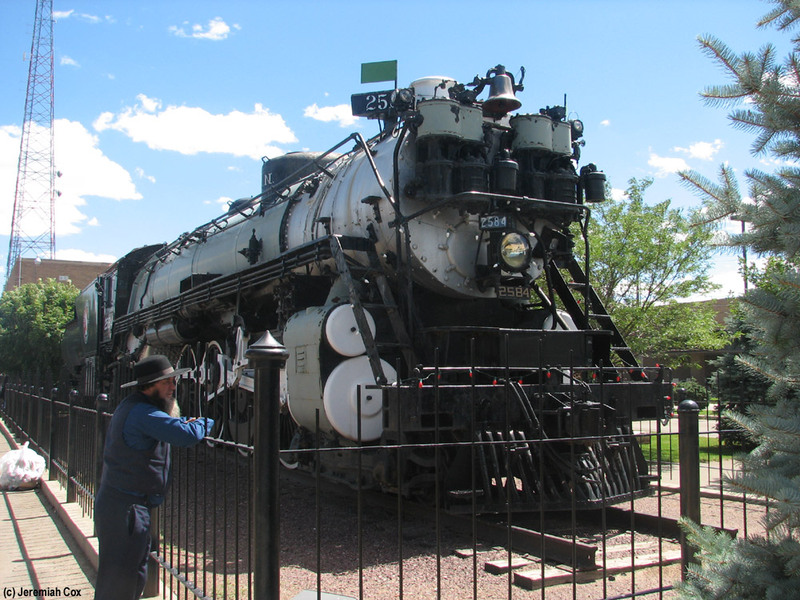 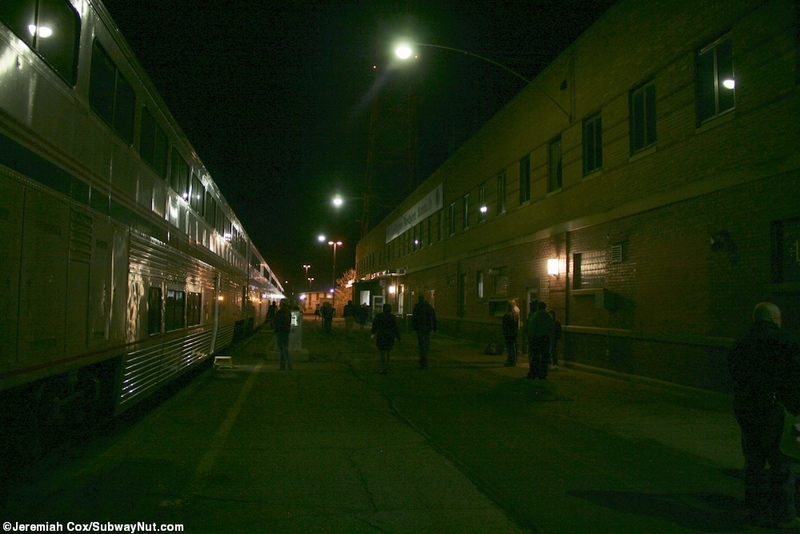 It is midway between Seattle and St. Paul and was built and will always be a railroad town. 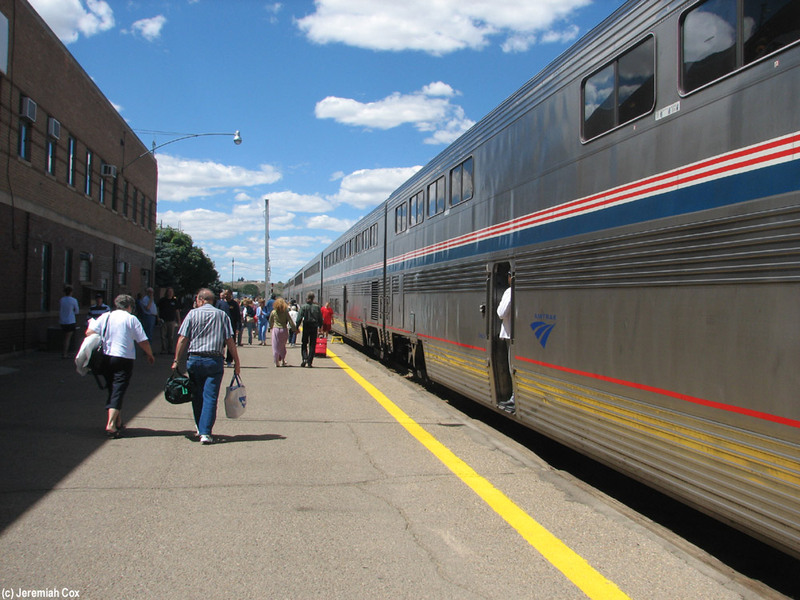 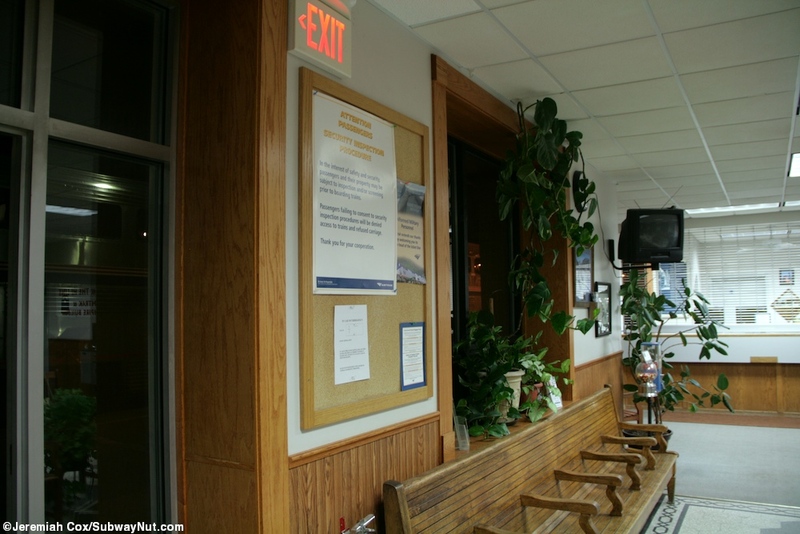 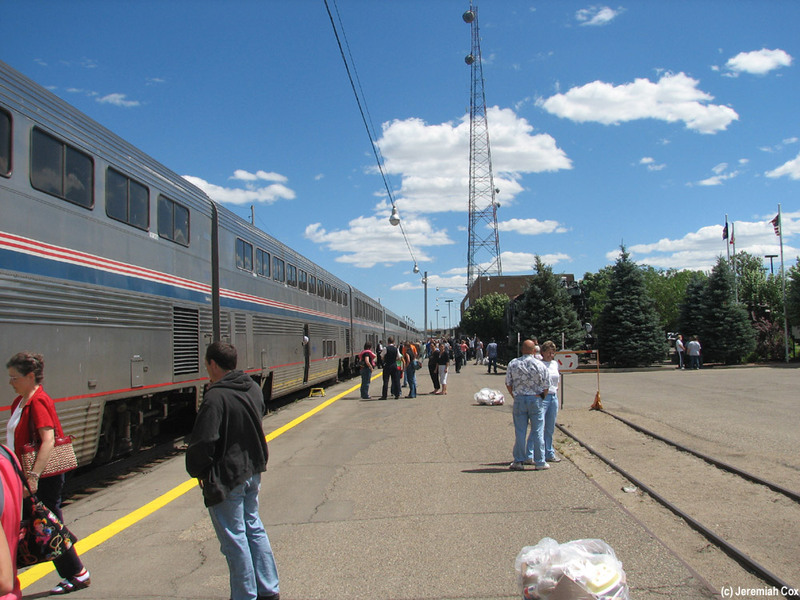 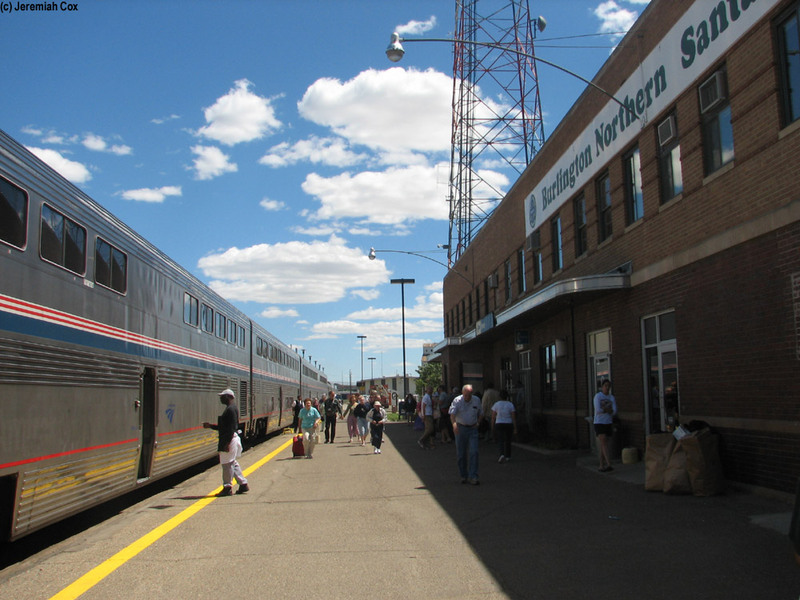 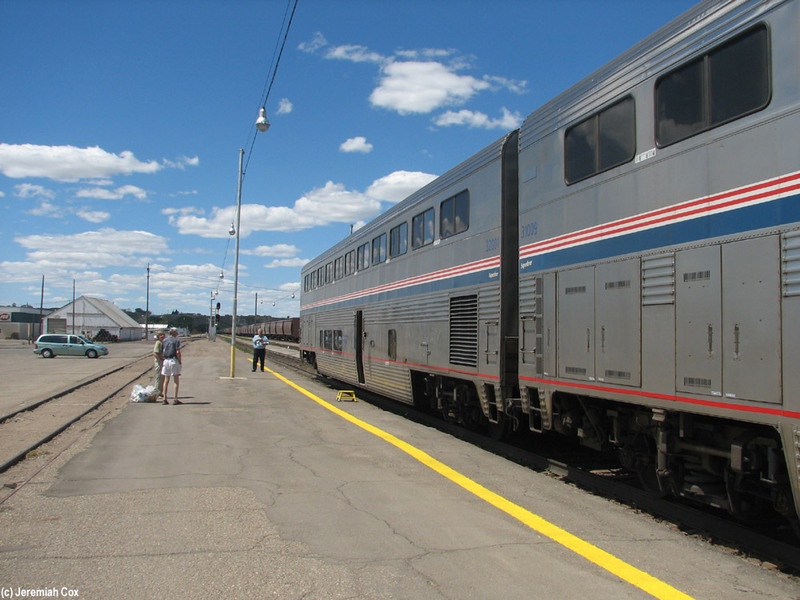 It is a very important service stop on the Empire Builder and where in addition to the crews being swapped the train is serviced. 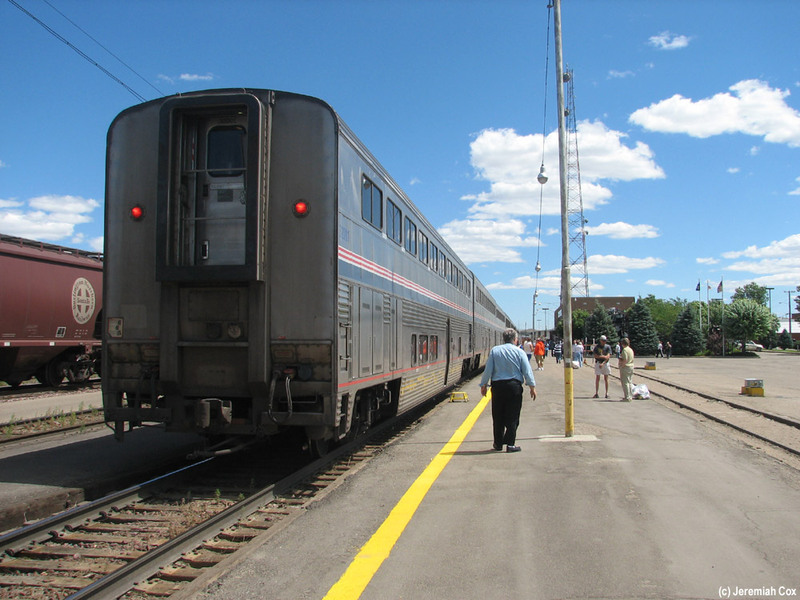 The locomotives are refueled and all of the Superliner coaches are watered from hoses located directly along the long simple, as of October 2011 still un-renovated platform, with just a yellow stay behind line before the track. 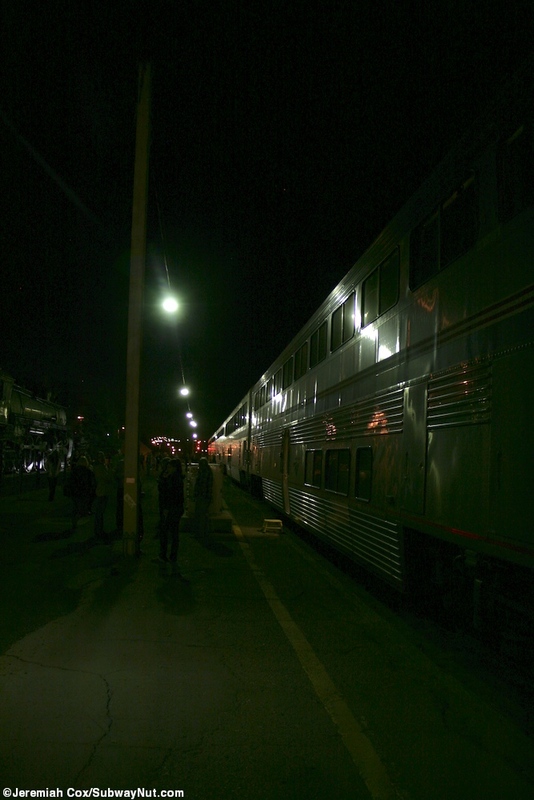 The lighting is simple lampposts that make it quite dark in the event that a train is so late that is stops here at night. 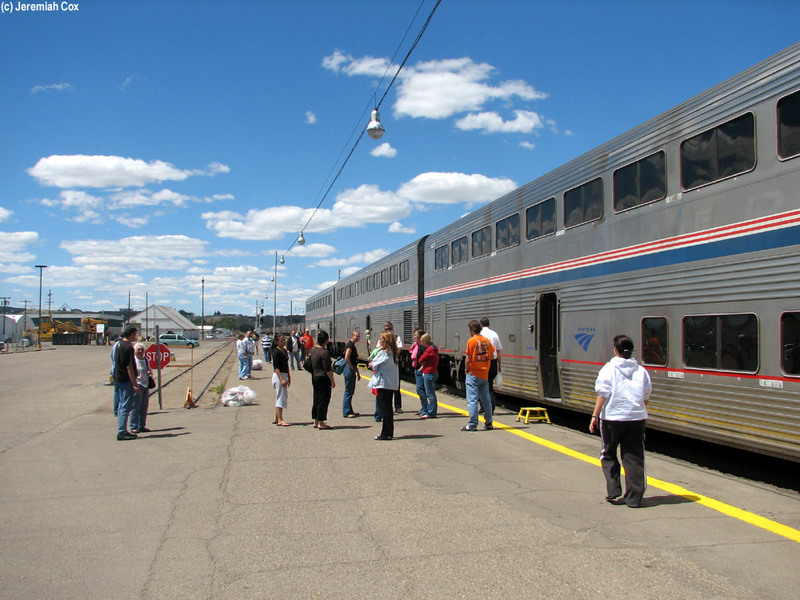 Towards the western end of the platform a second track that is a siding even begins. 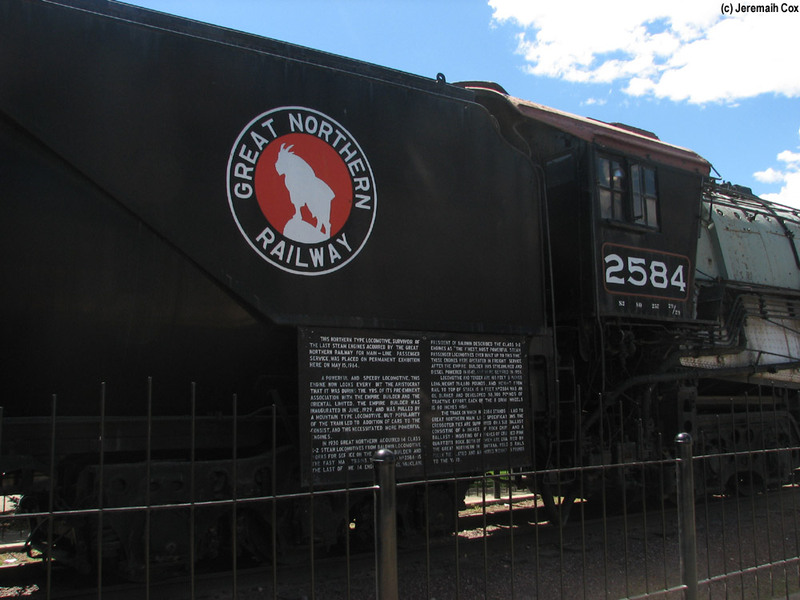 Just east of this is fenced around is a Great Northern 4-8-4 S-2 Steam locomotive #2584. 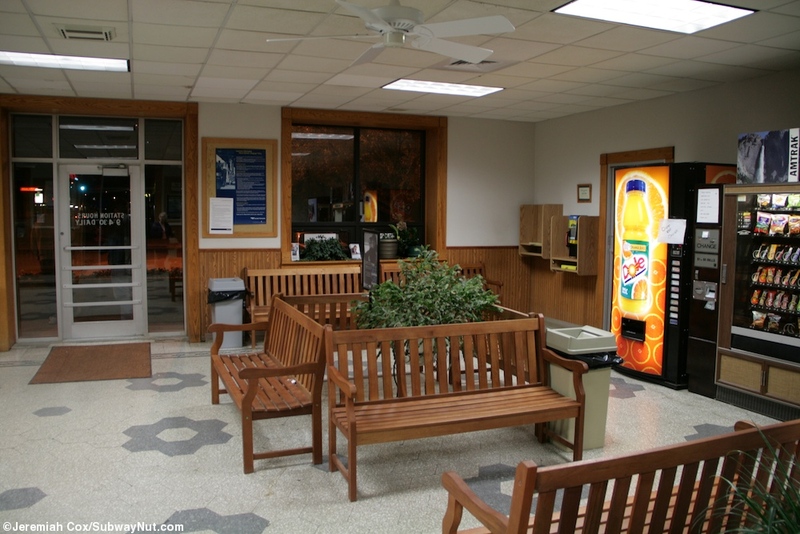 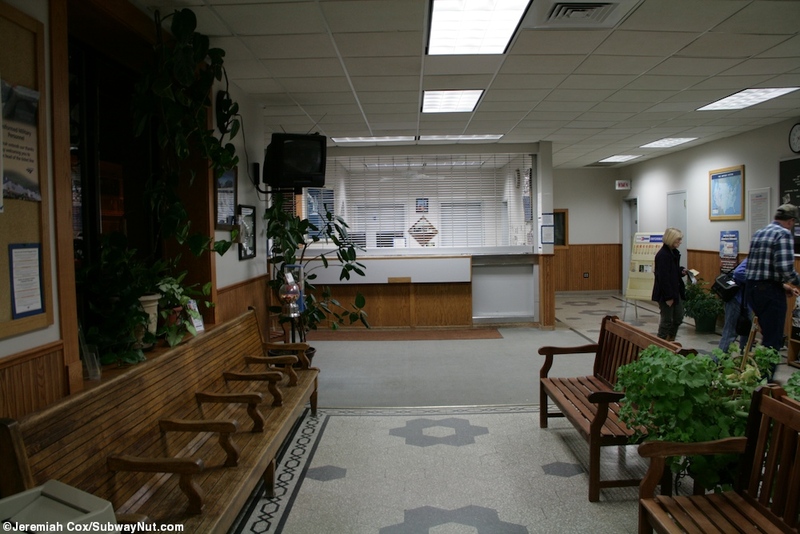 Next we come to the station building a large 2-story brick building, that was last renovated in 1953 housing both BNSF offices and the Amtrak ticket/baggage office and a small waiting room with wooden benches and well stocked vending machines, including standard ones soft drinks and even one for ice cream. 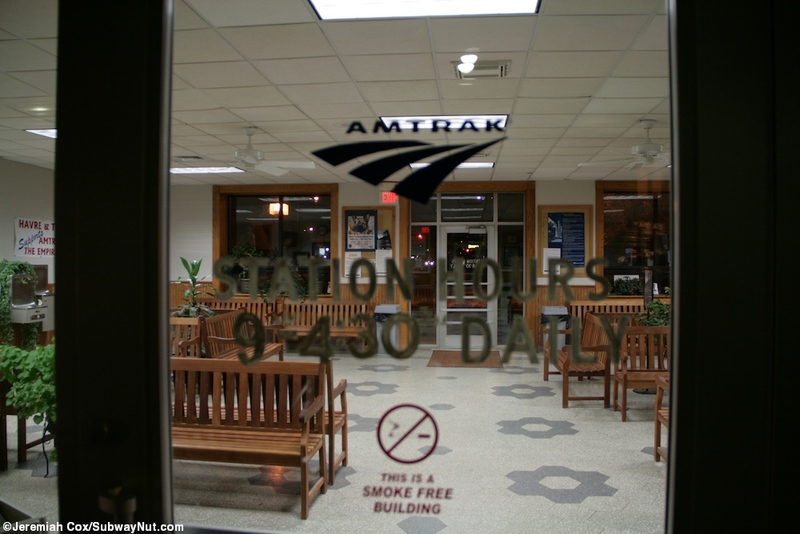 The signage outside of the station building even says Refreshments beneath the station name sign, advertising them. 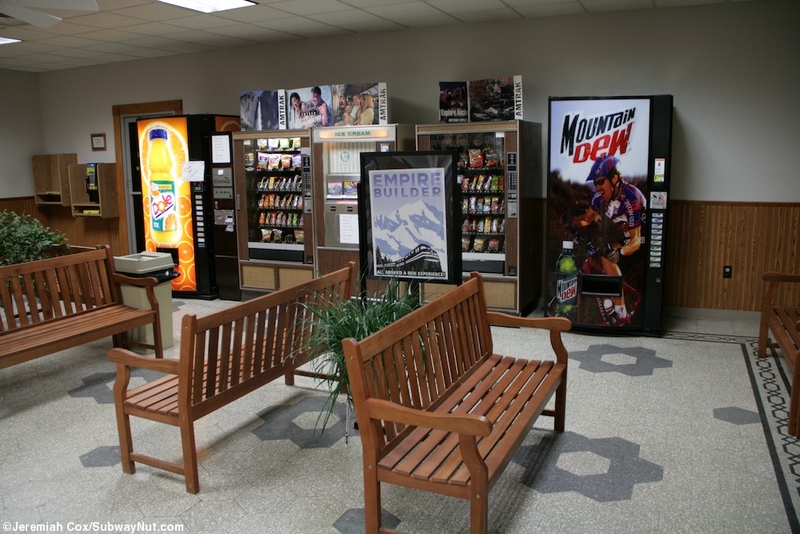 It is a good place to run inside if your craving packaged snacks that cost quite a bit less than those in the Sightseer Lounge Car. 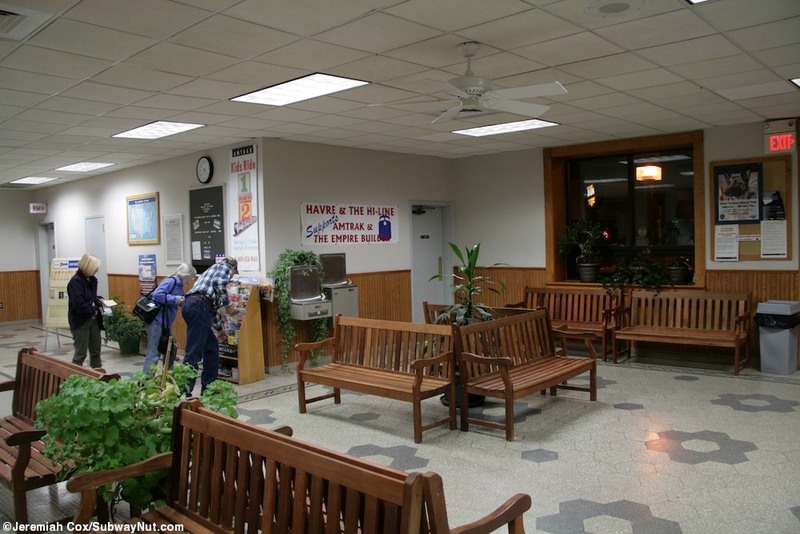 An odd feature are two chests (like you find outside stores) that say ICE on them nestled on the platform. 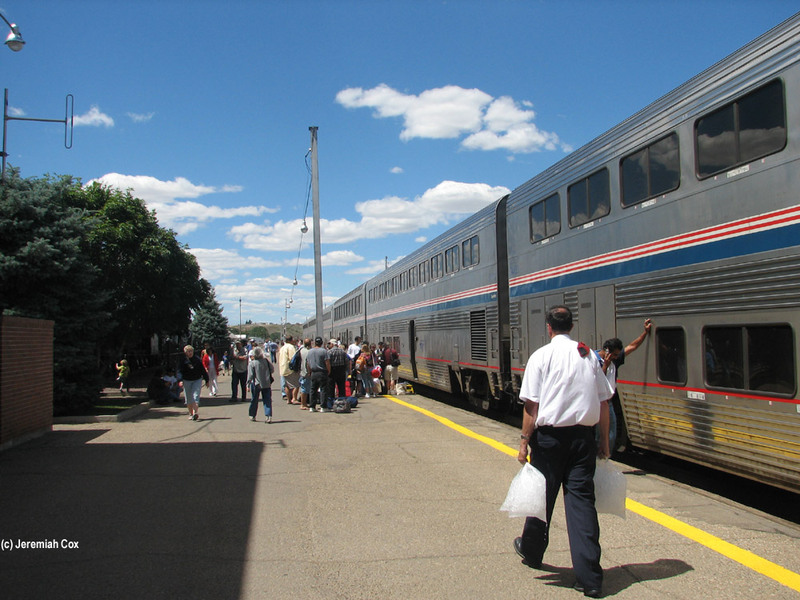 Both directions of trains are scheduled to pass through the station smack in the middle of the day between 1 and 3pm for both directions so the station is scheduled to have relatively normal business hours from 9am to 4:30pm daily. 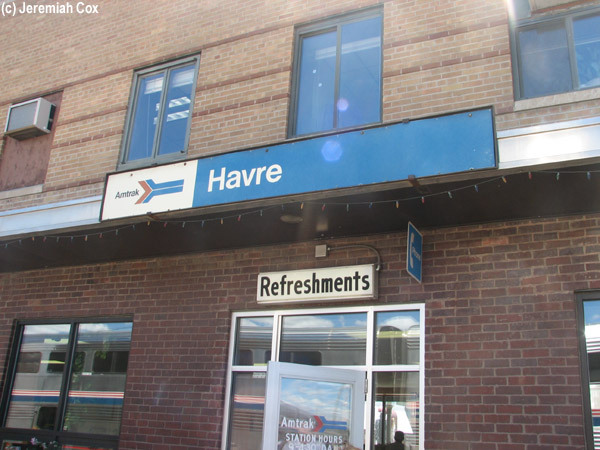 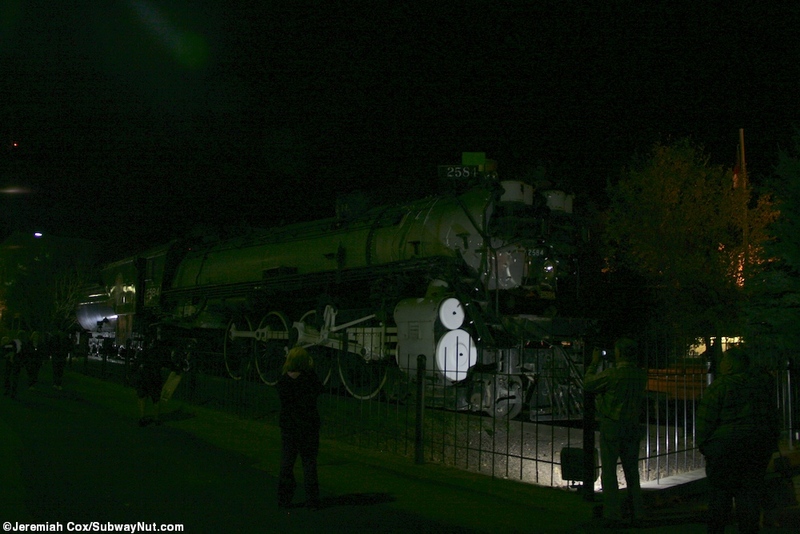 As of June 2013 a few modern Havre, MT signs have appeared on the platform but not much else.